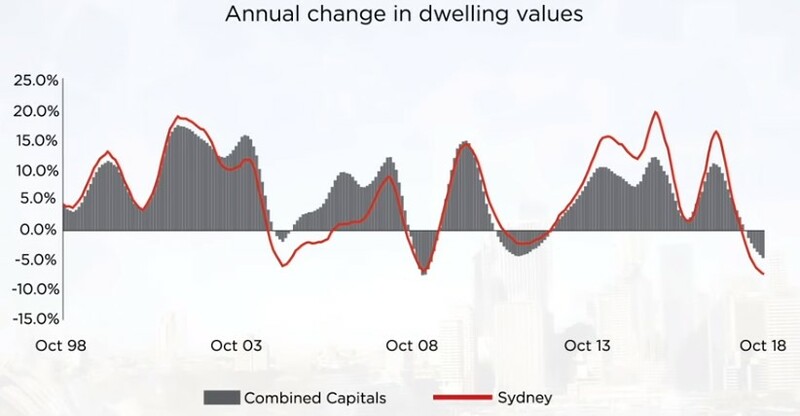 The Sydney housing market is now recording its weakest conditions since 1990 — that was the last time the annual decline in dweliing values was at least 7.4%. Sydney`s unit market has been more resilient to weaker conditions, however unit values were down slightly more than house values last month which may be the cracks appearing as a record number of new units move from construction into the settlement phase. With first home buyers still relatively active across the Sydney market, we have seen relatively stronger housing market conditions across the lower quarter of Sydney housing values as demand shifts towards the more affordable price points.